The Baltimore Ravens have signed former Redskins quarterback Robert Griffin III to a one-year deal. 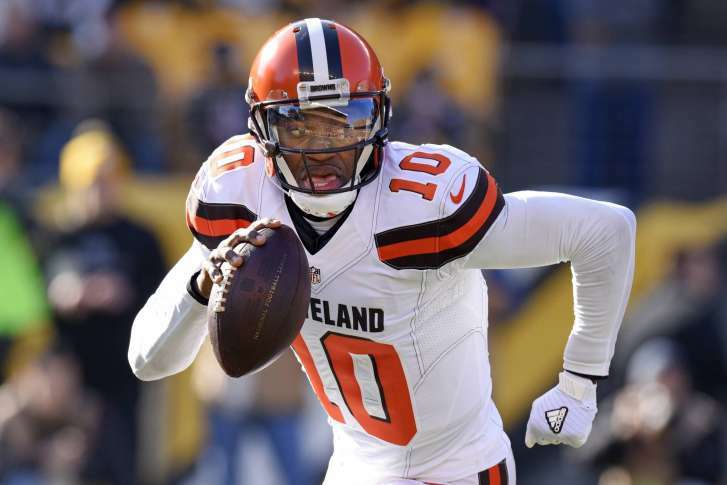 WASHINGTON — The Baltimore Ravens have signed former Redskins quarterback Robert Griffin III to a one-year deal. Griffin is expected to be a backup to Joe Flacco, Baltimore’s starting quarterback for 10 straight seasons. Griffin was a Heisman Trophy winner and first round draft pick in 2012. The Redskins made an extensive trade with the Rams to acquire the rookie QB. While Griffin did lead the Redskins to the playoffs in his first year and snagged offensive rookie of the year, his health was a constant concern for the team. He first suffered a serious knee injury against the Ravens during the regular season in 2012. During the playoffs, he injured his knee again playing against the Seattle Seahawks. The Redskins lost that playoff game shortly after Griffin left the field. Griffin was injured again in preseason game against the Detroit Lions. He suffered a concussion after a defensive lineman fell on top of him during a play. He was not played again during the rest of the regular season. Griffin signed a two-year contract with the Cleveland Browns in 2016, but only started 5 games for the team. He did start in the only game that the Browns won in the 2016 season. However, Griffin suffered a shoulder injury during the season, leaving him sidelined. The Browns released Griffin from his contract before the 2017 season. Griffin said he made the decision to sit out the 2017 season after receiving offers from the Arizona Cardinals and the Ravens. Griffin said he felt the Cardinals had too many quarterbacks already, and that he had too little time to get acquainted with the Ravens’ offense before joining the team for the 2017 season. Griffin’s last previous stop in an injury-riddled career came in 2016 with the Cleveland Browns. He started five games, winning only one of them. General manager Ozzie Newsome said Griffin, 28, didn’t have far to travel before showing the Ravens he can still fling the ball.